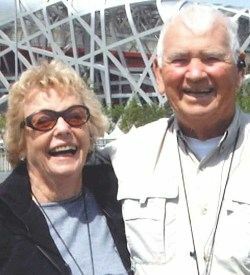 For John and Barbara Grimmer, opening a Charitable Remainder Trust (CRT) with the foundation was an easy choice. The Grimmers felt that the foundation was a good vehicle for charitable giving, as well as connecting people who care with causes that matter. “We thought we ought to do it locally because they [JCCF] would have firsthand knowledge of the needs of the community and be able to guide our sons in their decisions,” said John. The Grimmer’s CRT provides support for the types of organizations John and Barbara care about, including colleges, churches and libraries. Recently, John gave $500,000 to establish a “3+2” engineering program at Franklin College. John and Barbara have passed their passion for philanthropy on to their sons. The couple’s sons help advise The Grimmer Family Fund. Would you like to learn more about how you can connect like John and Barbara? Contact us today!